MTSU student pilots give Delta.. 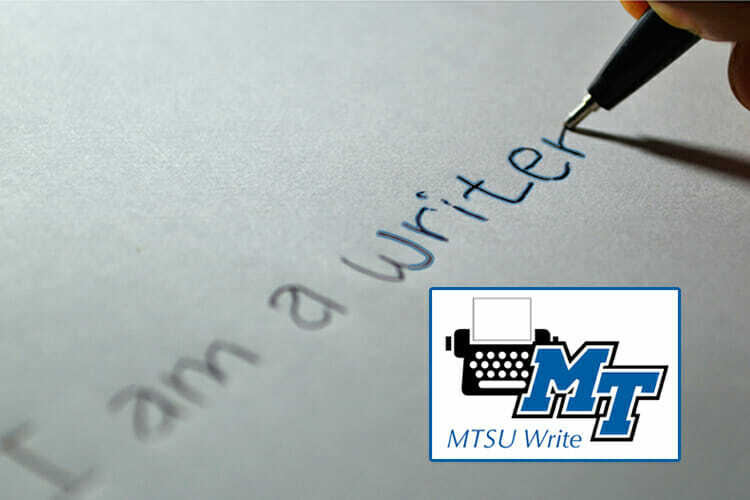 Whether you dream of penning the great American novel or simply want to hone your writing skills, the 2018 Fall Creative Writing Conference at MTSU is the place to be. The gathering is slated for 9 a.m. to 4:30 p.m. Saturday, Sept. 15, in the university’s Student Union building. “The conference helps fulfill MTSU Write’s mission to nurture the creative writing community,” said Dr. Jennifer Kates, director of MTSU Write and an instructor in MTSU’s Department of English. Kates said session topics will include elements of craft in all genres, as well as community, submission and publication, writers’ retreats and colonies, writing processes and habits. “It’s a great way to connect with fellow writers, and most participants leave with a new poem, scene or story idea in hand,” Kates said. Her other bestsellers include “Between Shades of Gray” and “Out of the Easy.” The daughter of a Lithuanian refugee, Sepetys, who now lives in Nashville, received the Cross of the Knight of the Order from Lithuanian President Dalia Grybauskaite in 2013. Additional conference speakers include Sybil Baker, Jen Chesak, Dorin Schumacker, Sandy Spencer Coomer, John Goslee, Marcus Jackson, Corabel Shofner, Kenley Smith, Nathan Spoon and Elyzabeth Gregory Wilder. Registration is $60 for the general public and $40 for MTSU faculty, staff and students. The fee includes a continental breakfast, lunch and all sessions. MTSU Write students and mentors may attend free. You can register here for the conference. For more information, contact Kates at jennifer.kates@mtsu.edu, mtsuwrite@mtsu.edu or 615-904-8163. A campus parking map is available at www.mtsu.edu/parking/2018ParkingMap.pdf. Off-campus visitors should obtain a special one-day permit from MTSU’s Office of Parking and Transportation at www.mtsu.edu/parking/visit.php.